Life is moving pretty fast right now. 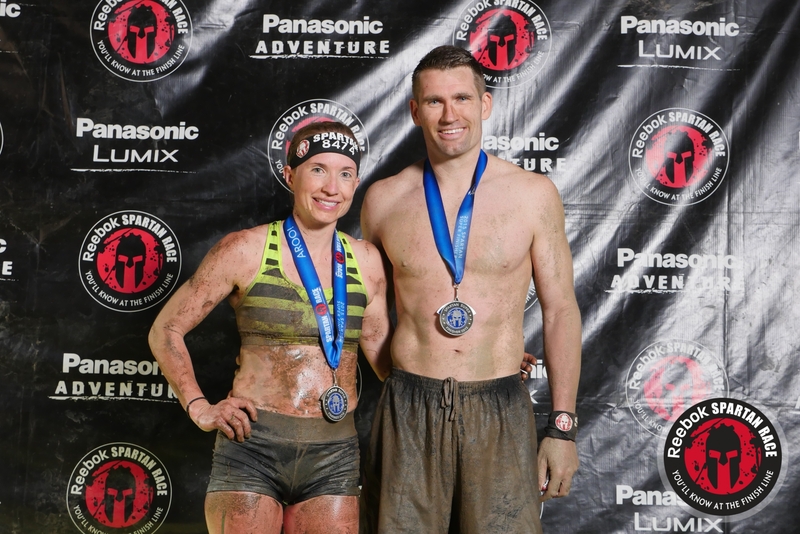 It seems like a month ago, I finished my first Super Spartan Race in Asheville, NC. It was actually only about a week and a half ago. 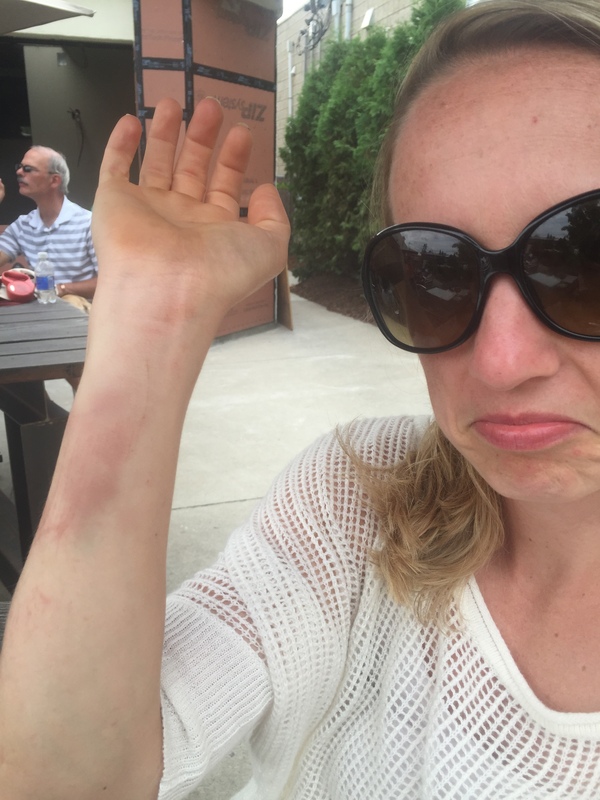 That said, all of my post-race blogs have been about the race or training for the race. I haven’t had a chance to get in to the details of our actual trip to Asheville and what I have been up to since then. Both my husband and I’s race heats ran before 8:00 AM. As such, we were actually back at our hotel (in downtown Asheville) by lunch. 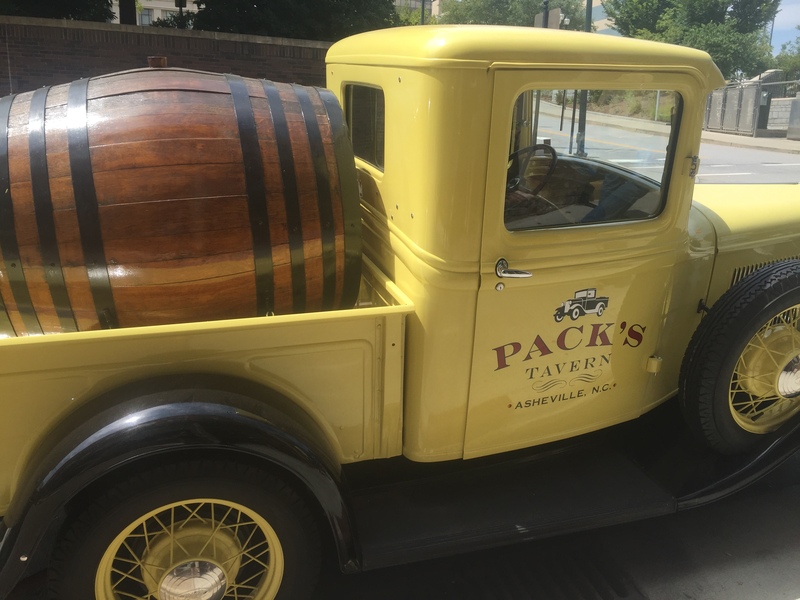 Prior to even taking a real shower and changing, we joined a few friends at Pack’s Tavern for a quick lunch before they got on the road. Admittedly, my post race meal was a bison burger and french fries. No real breakfast and a great race, meant every meal post race was going to be celebratory. 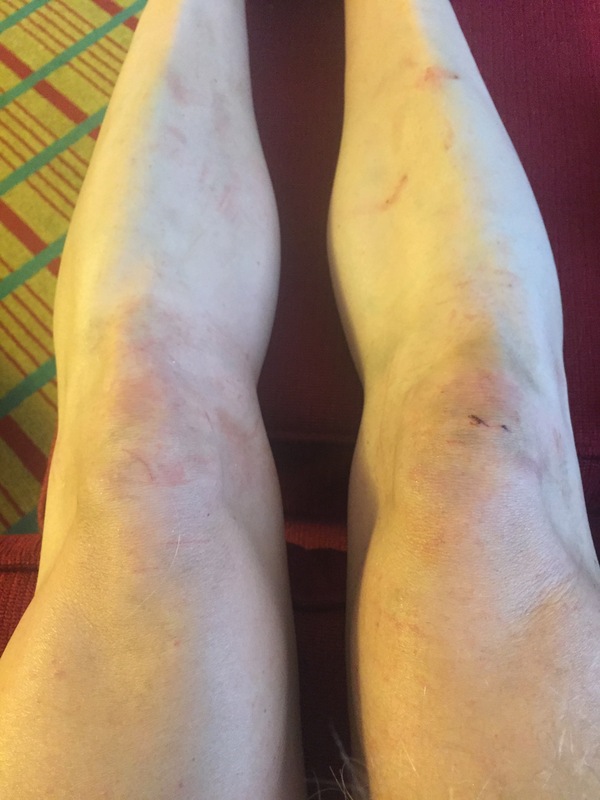 After lunch and a shower, I was really able to assess the damage of the race (physically) on my body. Let’s talk about my legs. Knees were beaten up. My shins were somewhat protected from the MudGear socks that I wore. Tip – Bring peroxide. When you are done with the race, pour it over any part of your body that you feel may have been cut up. Repeat this process after your shower. People keep asking me what part of my body felt the most damage. Answer is – my right arm. I could tell as soon as the race was over that this was going to be a problem. It was already swollen the size of a baseball. Wondering what happened? When going over anything that I had to pull my body up and over, I resorted to landing on my right side (example, a wall). I would swing my left leg and arm up and over, almost instantaneously landing on my right arm. 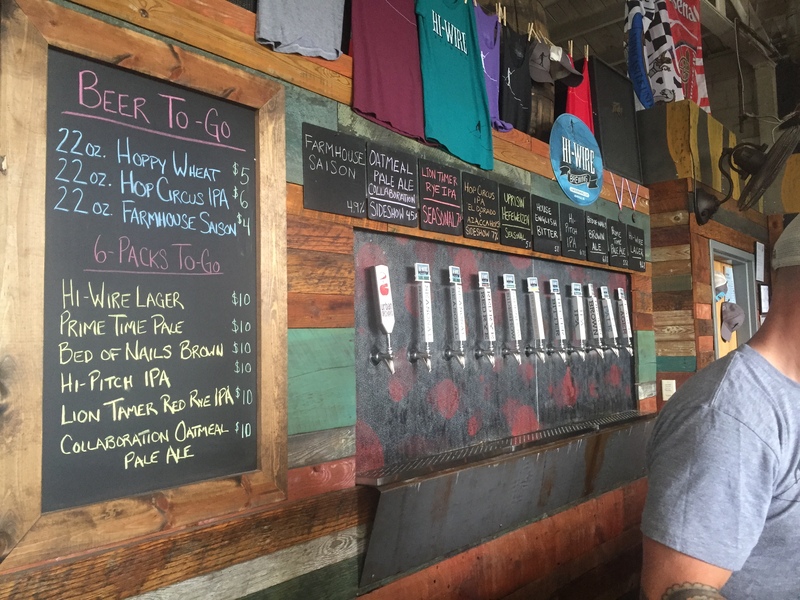 Well, damage was on full display at the first stop on our little food tour around Asheville – Wicked Weed. The town is known for its microbreweries and craft beer. 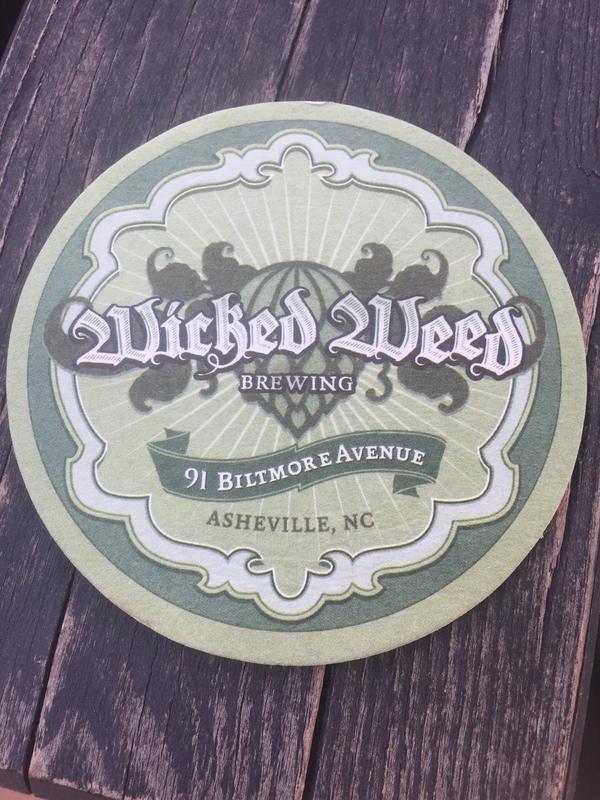 Wicked Weed is a tourist favorite. We opted not to eat, but instead, sit on the porch and enjoy a pint of the locally brewed beer. 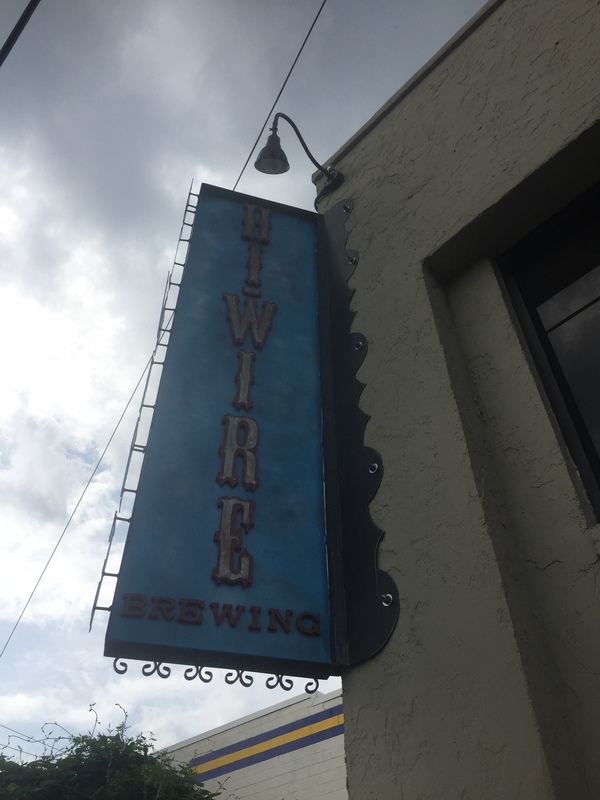 The long line deterred us and sent us on a short walk to another brewery – Hi-Wire Brewing. We had never been here. Someone recommended it to us. The beer is comparable to Wicked Weed, but the set up is way more low key. No food except a food truck out in the parking lot. A few bar stools and high tops surrounded by the actual beer making machines. Good beer. Interesting place. We would go back. Our lunch didn’t really hold us over long, so we had one drink before deciding we would have an early dinner that was not made from a food truck. We just kept on walking. 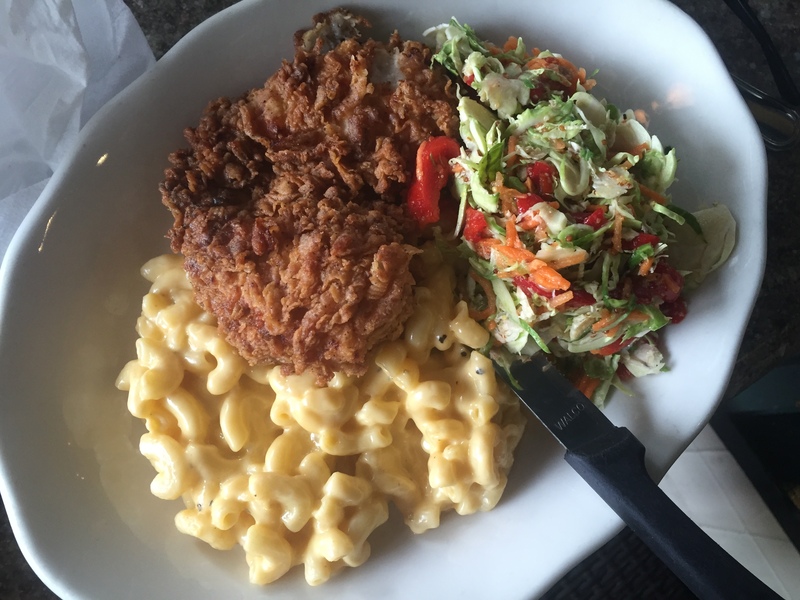 Lucky for us, we ran into Tupelo Honey at a time that the hometown restaurant had little to no wait. This isn’t normal. We have been to this restaurant in Charlotte, NC (our hometown), but never at the original location. My pick? I’m still celebrating. Fried chicken, macaroni and cheese and some sort of Brussels sprout salad. Not pictured – the incredible biscuits! We enjoyed a fantastic meal on their outdoor patio before spending what seemed liked hours looking for a place that served good hard ice cream. Would someone PLEASE open an ice cream shop in Asheville that stays open past 7:00 PM? 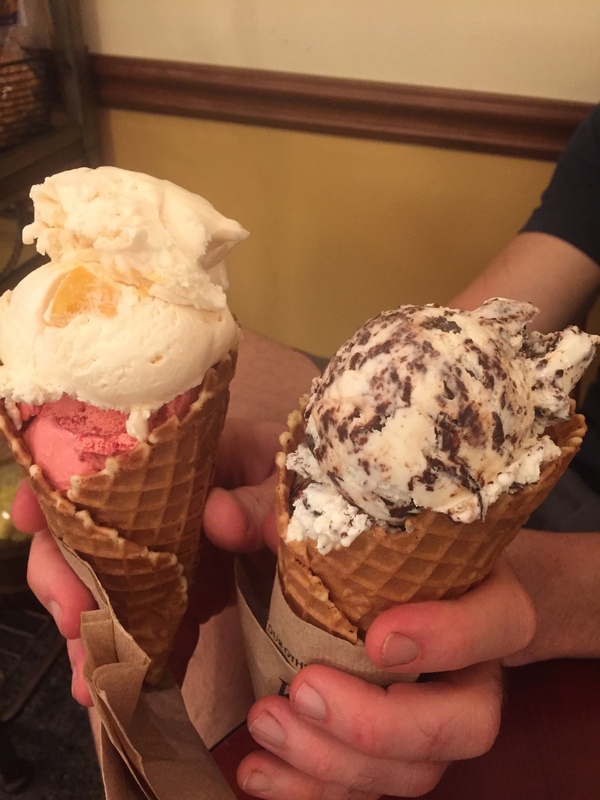 We ended up at Killwin’s toasting to a great race with enormous waffle cones. We headed out early Sunday morning to get back to see our kids. 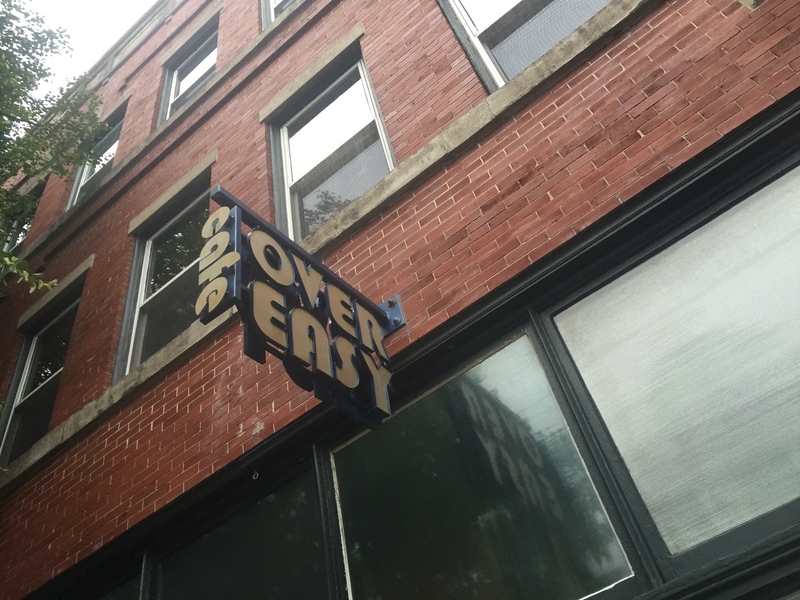 Before leaving, we did try a local restaurant that yet again someone had recommended to us – Over Easy Cafe. 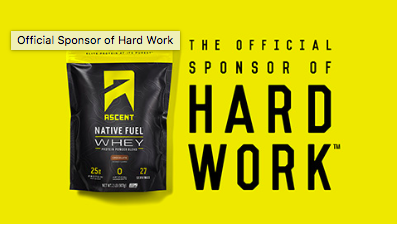 Don’t be fooled by the name. They don’t just serve eggs. While the restaurant opens at 8:00 AM on Sunday, they are prepared earlier. A sheet of paper on a hostess stand sits outside. If you arrive prior to 8:00 AM (along with a ton of other people), put your name on the list. What a great idea. There is no bickering between hungry people about who was standing outside first. 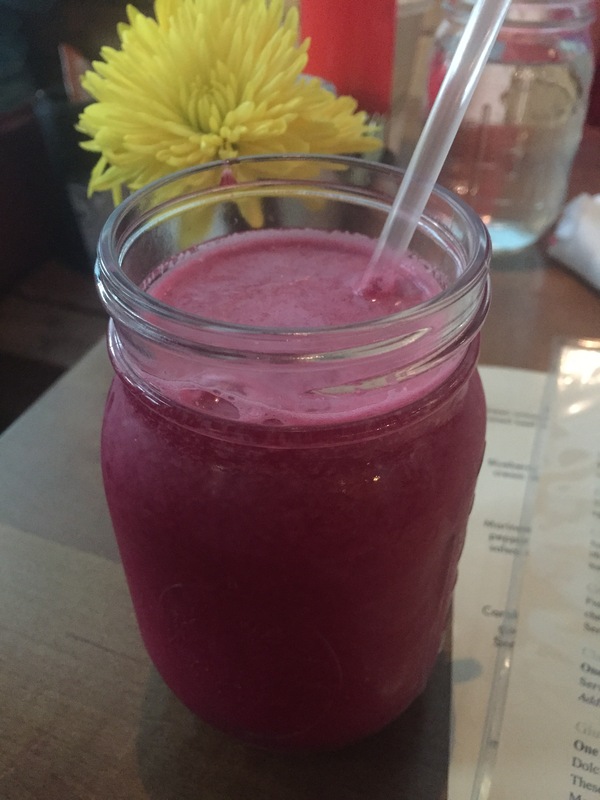 Start with or have as your meal one of their incredible locally made juices or smoothies. They are served in a cute little Mason jar! 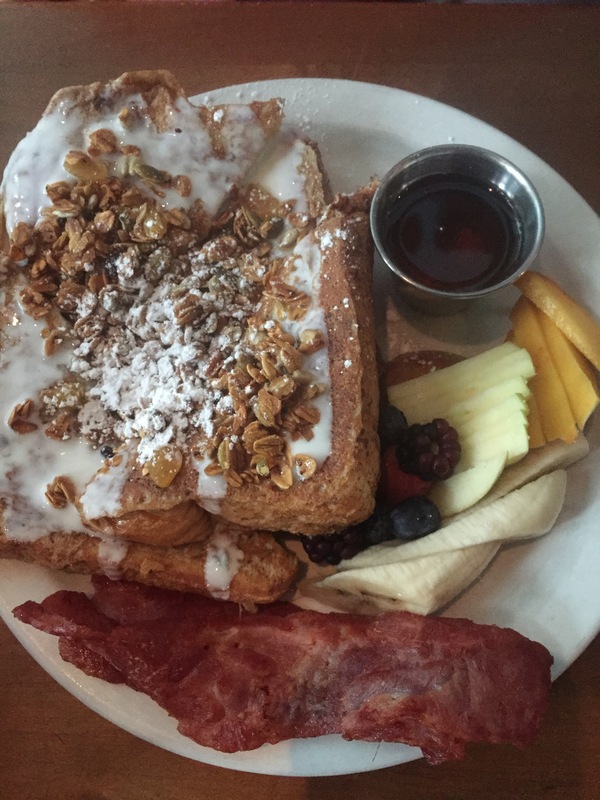 I did end up getting an egg dish, however, my husband opted for the french toast. I had food envy when it came out. How incredible does that look? See picture below. Awesome race. Great food. Interesting beers. It was a perfect collision of things that would bring us back. Thank you for your hospitality Asheville! Since the race, I have definitely taken the tempo of my workouts down a little bit. Everyone’s body needs a break. I will be ramping things back up towards the end of the month. In the meantime, I am working on eating good and getting some much needed rest. I have been searching for new recipes and foods that make my performance feel better. 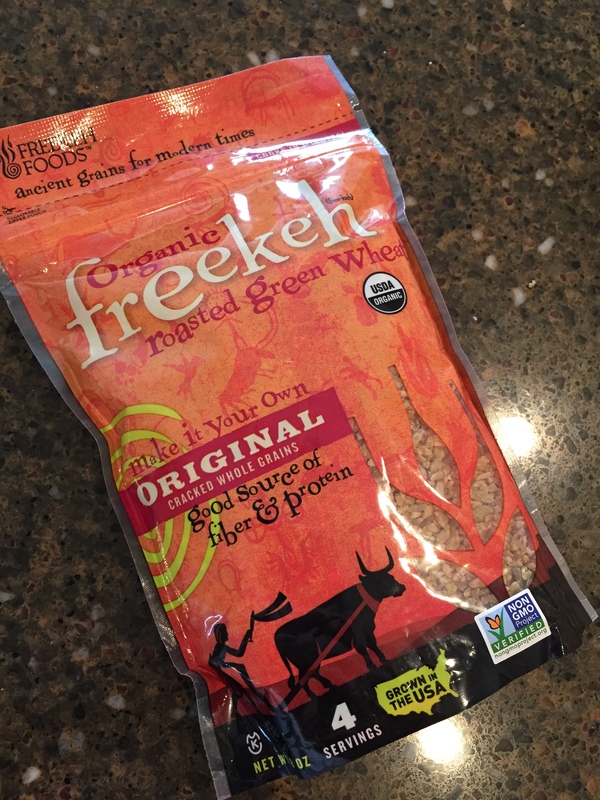 It was through a recent post on Fit Approach (Sweat Pink) that I cam across Freekeh – essentially an organic roasted green wheat. It can be used as a substitute for many wheat products that we use as our major sources for fiber and protein. 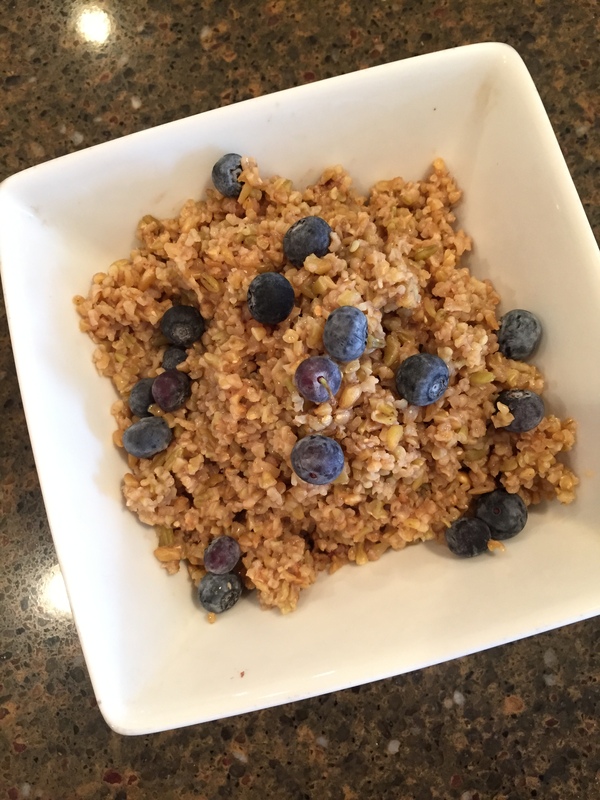 While cook times and texture are comparable to brown rice, I have been using the “original” flavor to make “oatmeal”. It cooks very similar to rice. 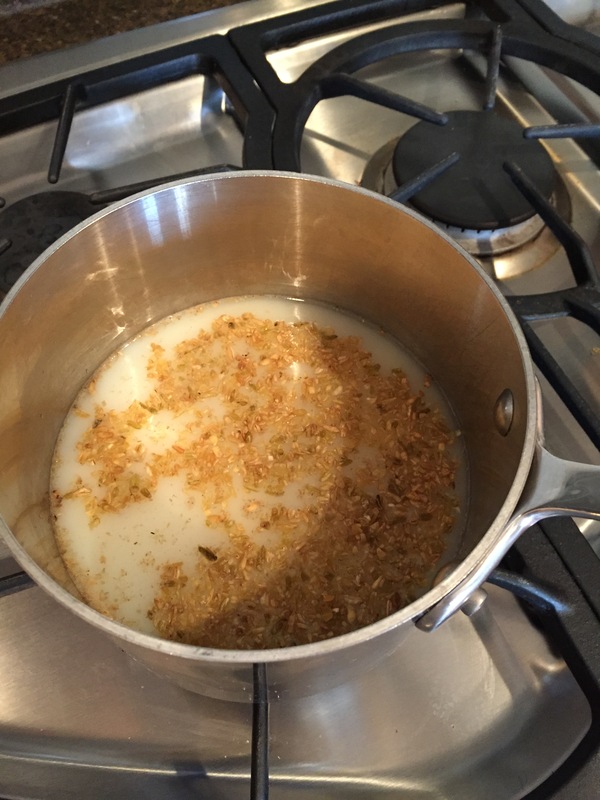 Poor the package and water/milk mixture into a stovetop pot. Bring to a boil. Once you reach a boil, mix hot chocolate package and vanilla into pot. Drop heat to low and cover for 25 minutes. The picture below is before the boil and simmering on low. Here is what it looks like after it has sat for 25 minutes. SO, so hearty and filling. I added the hot chocolate package originally because that is all we had laying around. I later on admitted that I just wanted a dessert type taste with my breakfast! Throw it in a bowl and add some fruit. You could even top with a little bit of yogurt. As the fall and winter approach, this will be a perfect way to start my day post workout. 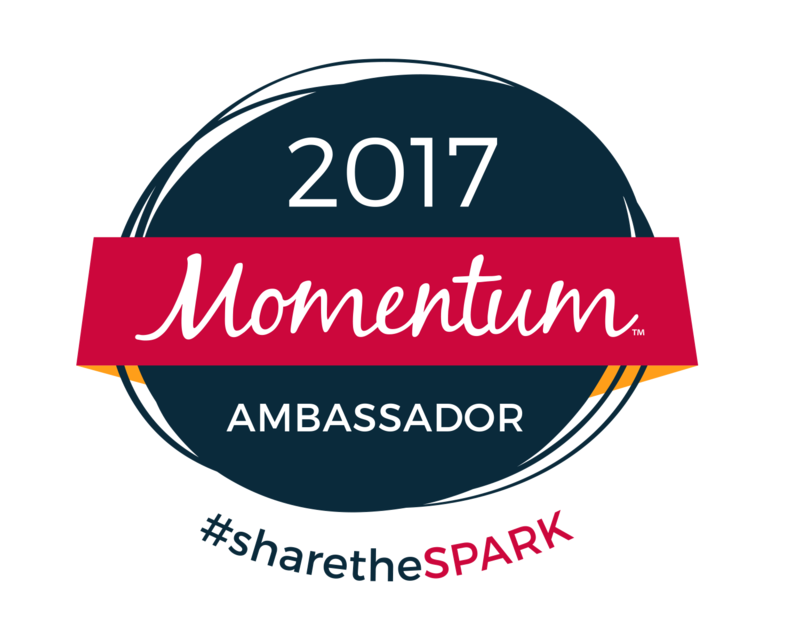 The best news about this is that you have the opportunity to try it, for FREE. 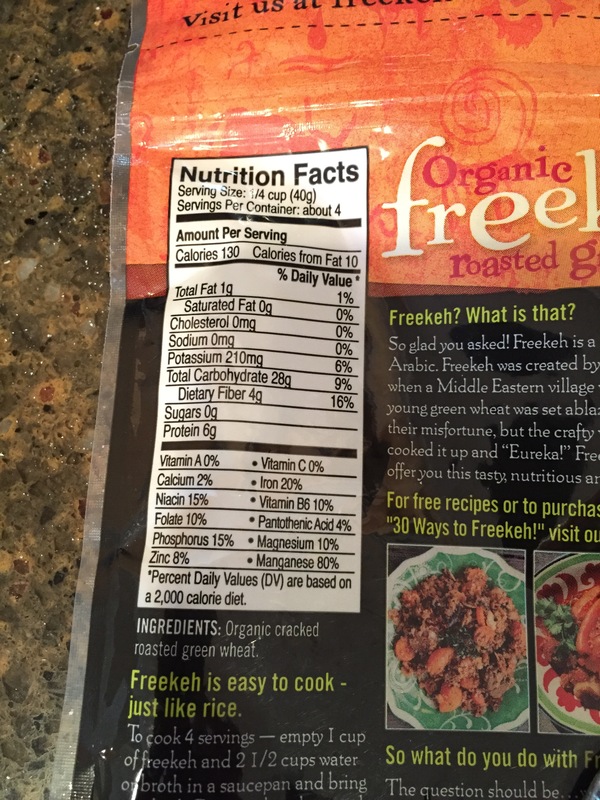 Freekeh has sent me one package to GIVE AWAY to one of my readers. I need you to comment on this post through the blog, Facebook or Instagram for your chance to win. Don’t worry, if you are not picked, I have so many coupons to give out. Let me know if you would like some. See nutritional info below. 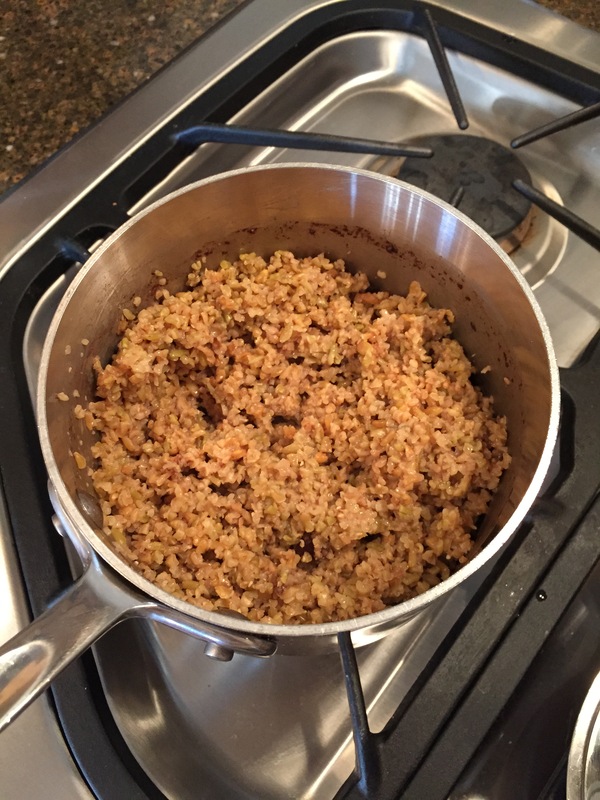 This entry was posted in food, Staying fit, travel and tagged asheville, Asheville Spartan Race, fit approach, freekeh, hi-wire brewery, killwin's, NC, oatmeal recipe, pack's tavern, sweat pink, tupelo honey cafe, wicked weed on September 9, 2015 by flyjenduf.